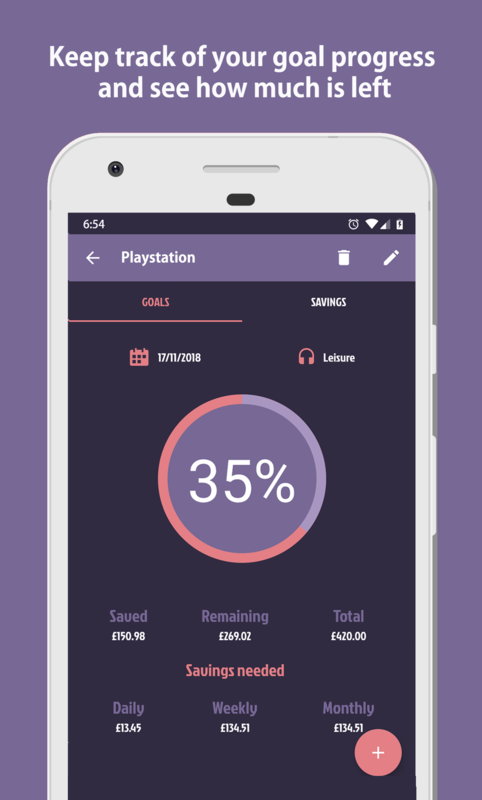 just add your goals and track every time you save money. New laptop? Trip to New York? Buying your dream house? Add them to your goals. Cancel TV subscriptions, run in the park instead of going out, etc. 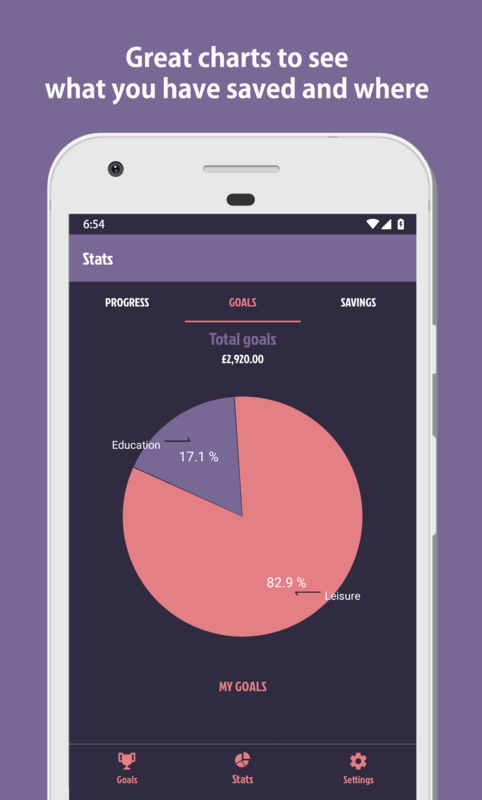 Track your savings and add them to your goals. Great reporting charts allow you to see your habits and motivate you to reach your goals. 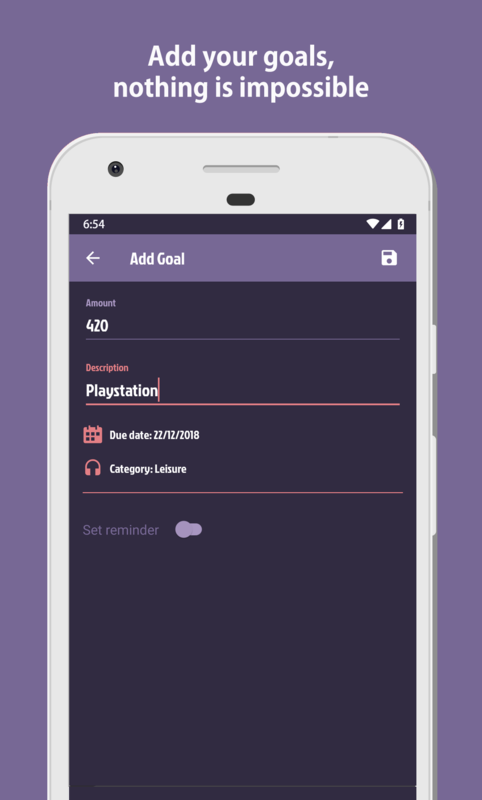 Add as many goals as you want. 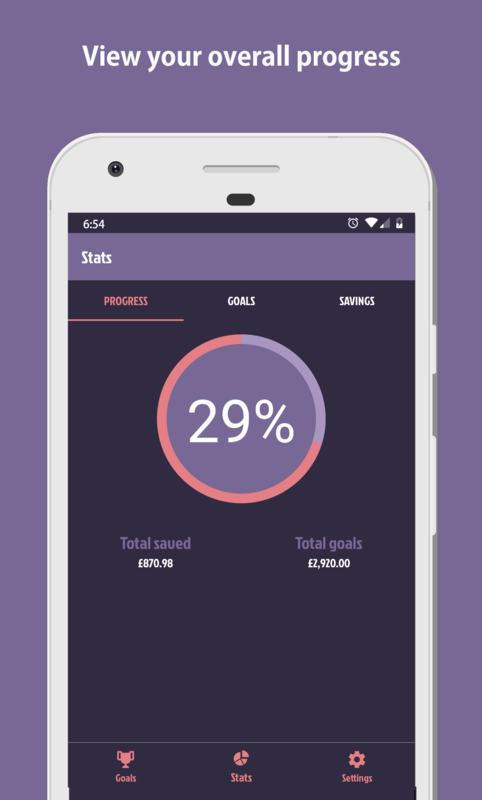 Add savings to each goal. Also you can withdraw money from goals, in case of unexpected spendings. See the daily/weekly/monthly savings needed to reach your goal. 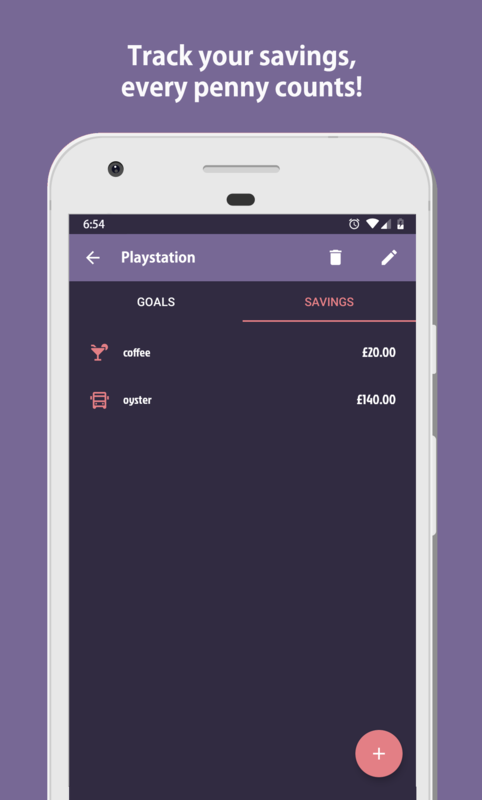 Add reminders to each goal, so you remember when to add savings. 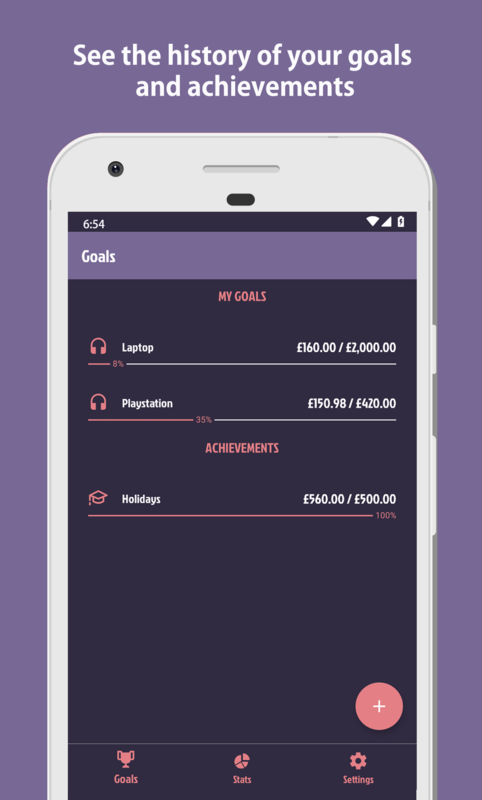 Categorise your goals and savings to understand your spendings. Check your progress and use reminders to motivate you to reach your goals. Personalise the theme and how the UI looks. Multiple fonts available to customise the app. Add as many categories as you want and select from more than 30 icons. Save your data in your Google Drive account and restore it on a different device. Join our beta tester community! Help us by joining our beta group. You will enjoy the features sooner than other users and we will apreciate the feedback you can provide to us. Ask us any questions or send us feedback to improve our app!